Please join us at our next weekly meeting and find out how you can give back to your community and your world. The Commack-Kings Park Rotary Club meets every Tuesday at 12:15PM at the Bonwit Inn. Stop by and say hello or email ahead to Alexander Paykin, Esq. with any questions. Need another reason? How about 20? Rotary provides one of the most basic human needs: it's one of the two reasons why Rotary began. Rotary continues one's growth and education in human relations and personal development. Rotarians learn to motivate, influence and lead leaders. 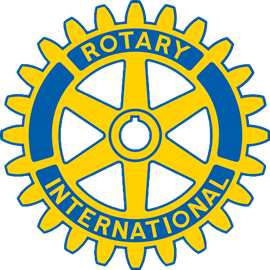 The average Rotary club consists of the most active citizens of any community. Programs keep Rotarians informed about the community, the nation and the world. Rotary is fun ... club projects, social activities, meetings, service are fun. Rotary develops confidence and skill in public communication. Rotarians are welcomed at 29,367 clubs in 200 nations. Rotarians have often found help as close as the nearest Rotary club. In local clubs and at conferences, conventions and assemblies entertainment provides a welcome diversion. Rotary is for people who like people, or who want to. Rotary encourages family values and operates youth programs. Rotary helps one make a better professional. Rotarians are expected to be ethical in all relationships. Rotary is a cross section of the world's most prominent citizens from every background. While it is nice to be important, it is more important to be nice. Rotary is an open society - of men and women who believe in helping others. Rotarians believe in service above self, it is richly rewarding.